Yes. 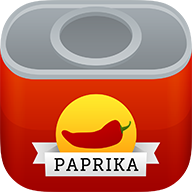 The iOS, macOS, Android, Kindle, and Windows versions of Paprika are all developed and sold separately. You will need to purchase the app individually for each platform you want to use it on. Licenses purchased for one platform are not transferable to another platform. Additionally, Paprika 3 for iOS has been made universal. This means that if you purchase the app on your iPhone, you do not need to purchase the app separately on your iPad, or vice versa. We have also enabled Family Sharing on iOS and macOS so you can share your purchase with family members. Once you have purchased Paprika for your desired devices, you can use Paprika Cloud Sync to keep your data automatically synced between all of your devices. Paprika Cloud Sync is a free service that we provide. Some people have asked us why we price our apps this way. Each version of Paprika takes us considerable time and effort to develop. Paprika Cloud Sync requires ongoing resources to maintain. Our current pricing model allows us to provide you with a free cloud sync service and also funds the continued development of each app.